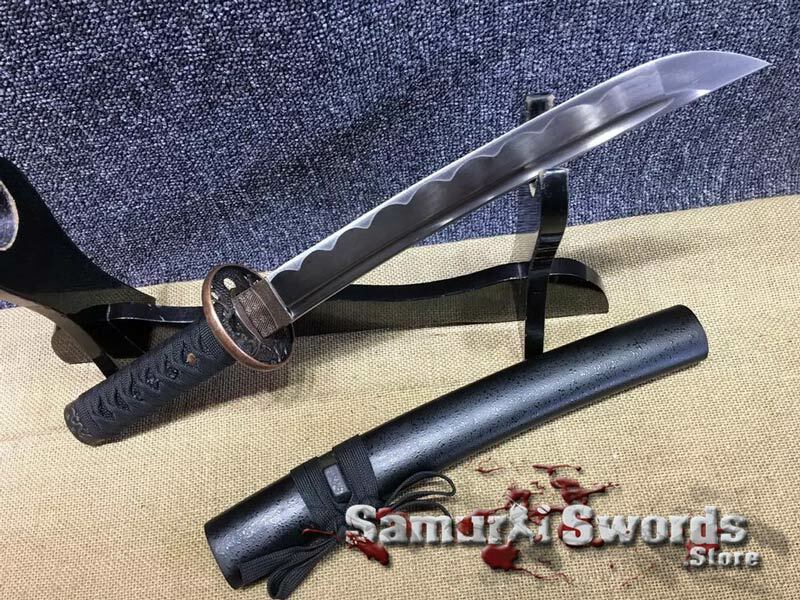 This full tang Tanto features a 1060 carbon steel blade that has been sharpened perfectly to provide you with a fully functional tanto knife that you can readily use for both cutting practice in the backyard, as well as actual training in the dojo. 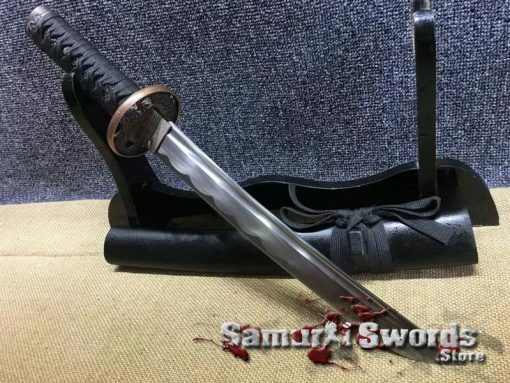 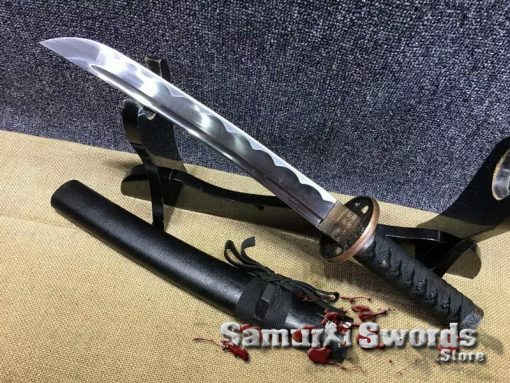 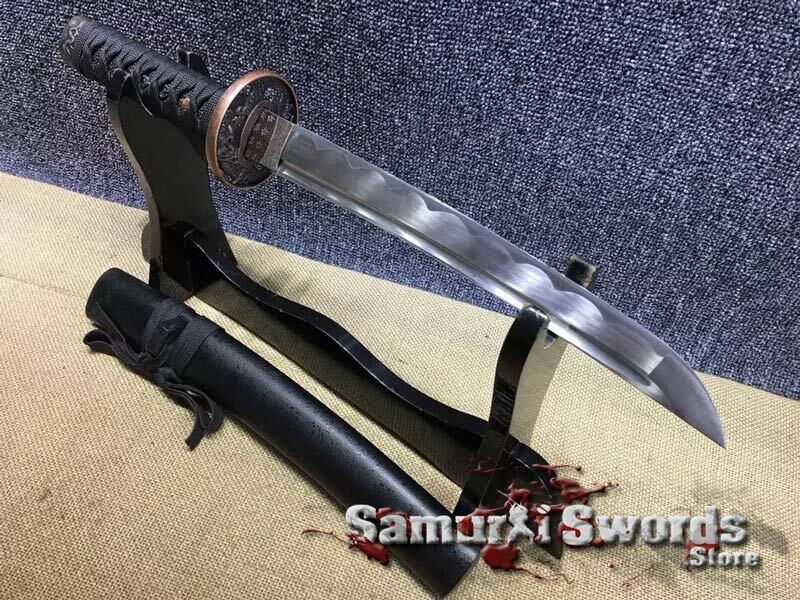 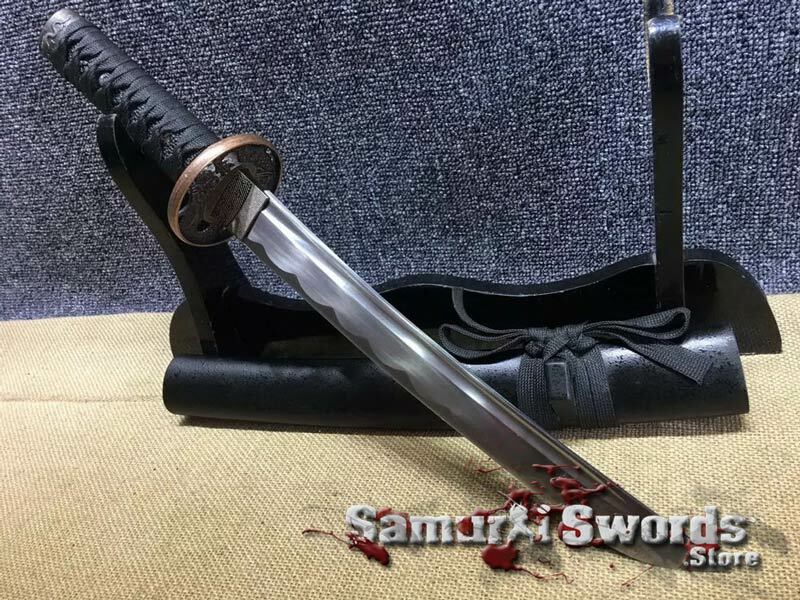 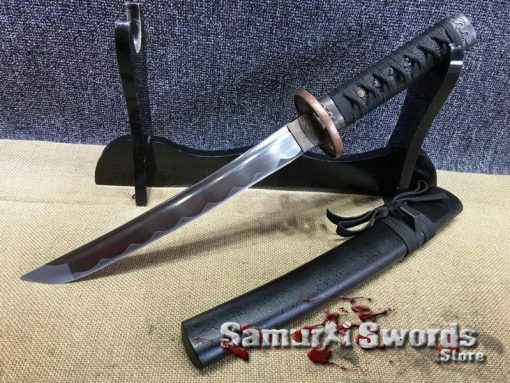 The blade of this samurai Tanto is made from 1060 Carbon Steel which contains 0.60% of carbon; The samurai Tanto also features a bohi, which makes the blade more lightweight and easier to handle by adding a little agility and speed to the blade from reduced weight. 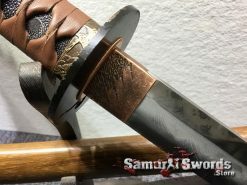 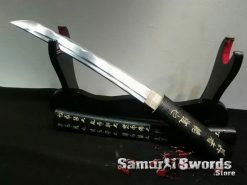 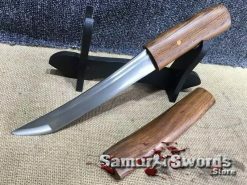 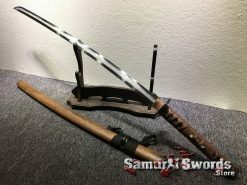 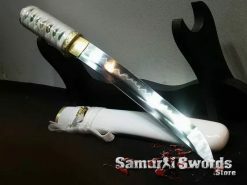 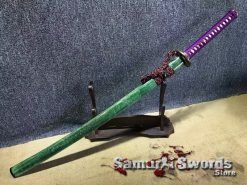 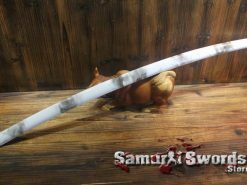 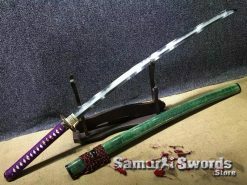 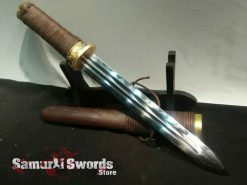 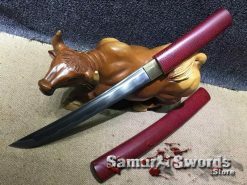 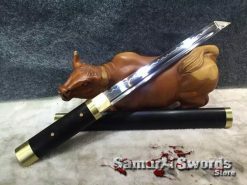 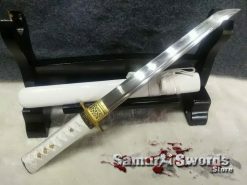 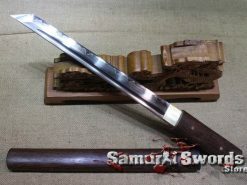 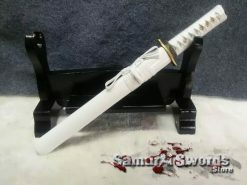 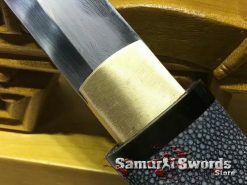 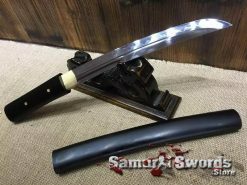 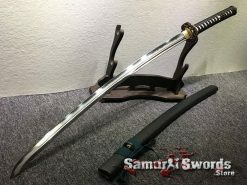 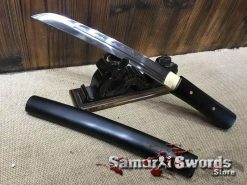 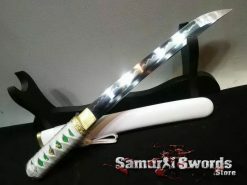 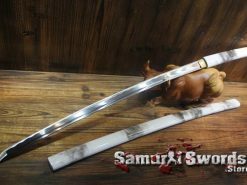 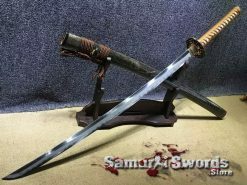 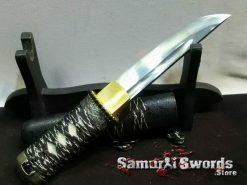 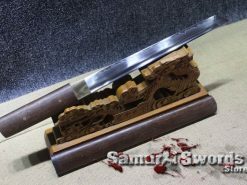 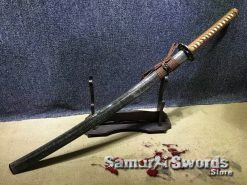 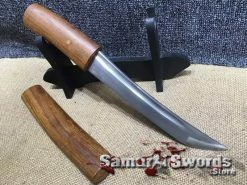 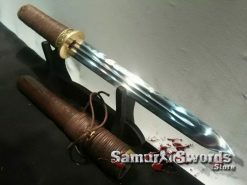 The blade of the Tanto, measures about thirty centimeters in length while its width measures 3.2 centimeters; the tsuka measures fifteen centimeters in length which makes it a total of 45 centimeters long. 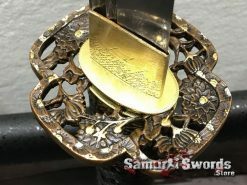 While its weight is 0.8 kilograms. 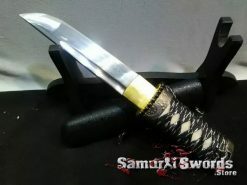 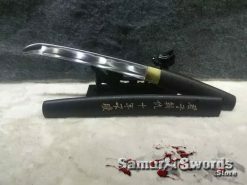 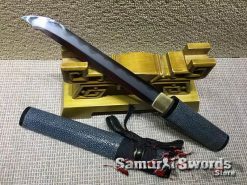 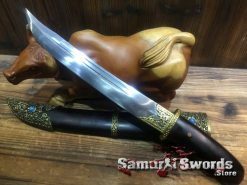 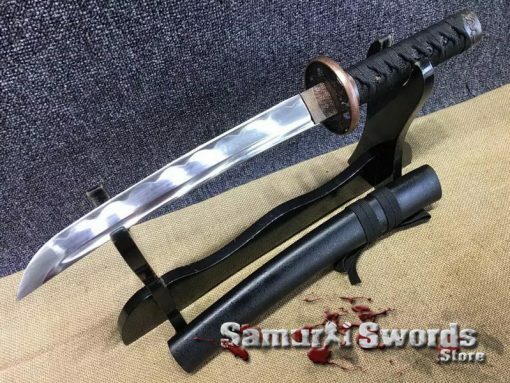 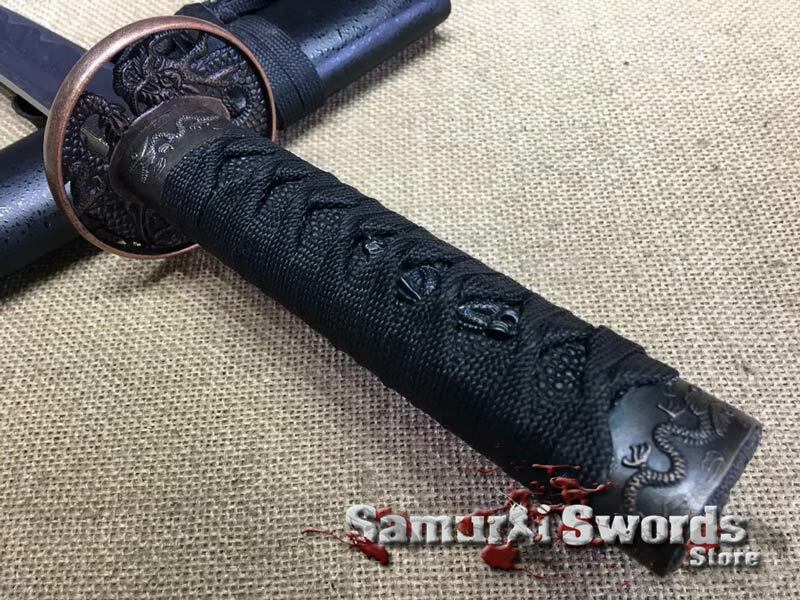 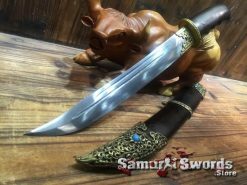 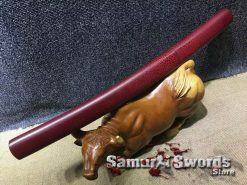 This samurai Tanto knife also has a tsuba made from brass while its menuki, fuchi, and kashira are all made from metal alloy; this Tanto also comes with a matte black saya, as well as a sword bag made from rayon silk which is very convenient when traveling to different places with the samurai Tanto. 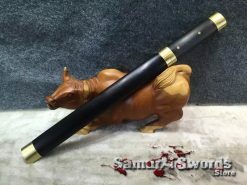 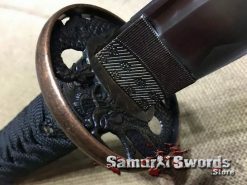 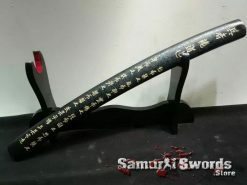 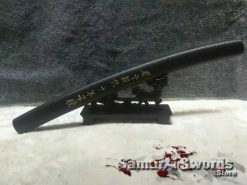 For the weapons tsuka, it is made of black ray skin that is securely wrapped with beautiful black silk, which adds more aesthetic beauty to the weapon.